From the moment this landmark, cultural and entertainment destination was opened to the public, Melburnians and visitors have been gathering, discovering and indulging here. 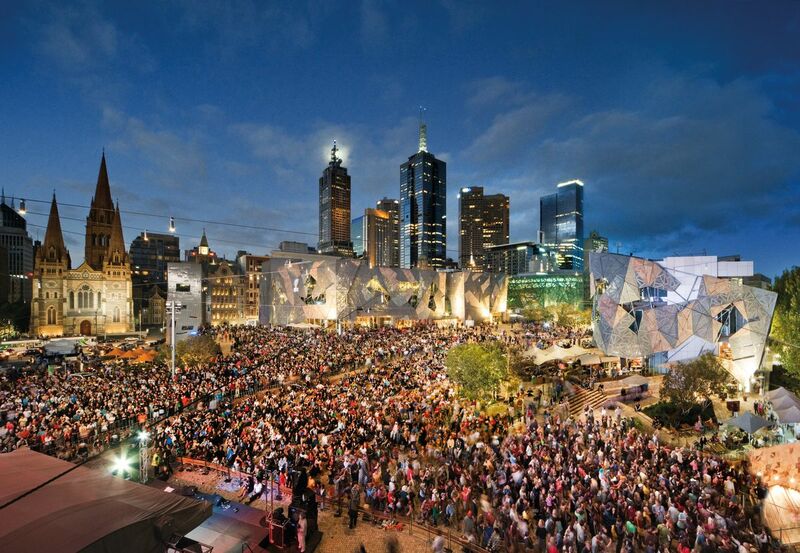 Now, more than a decade later, locals have embraced Federation Square as a true reflection of their city, with rich cultural experiences, a diversity of places to eat and drink, unique shopping and a wealth of information to welcome visitors. This is why Federation Square is recognised internationally as one of the world's great public places, and receives more than 10 million visits each year.